You are here: Home / Blog / Demystifying Sewing For Kids: Your Questions Answered! Throughout the years, I’ve been helping people find the best sewing machines for their kids as they send me their emails and notes. Today, I plan on answering some of the basic questions from parents who have children that are interested in sewing. I gathered the most-asked questions together to make an easy-to-use FAQs list for people who want to get the right answers about sewing machines for their children. Find out the information you need so your child can enjoy this hobby even more. 1: What’s the best first sewing machine for a child? If you are looking to find the best sewing machine for your kid, I suggest you read this post. I have reviewed all of the sewing machines available on Amazon that I think would be perfect for your little ones. 2: Is 7 years old too young for a child to start sewing? What would be the perfect sewing machine for him/her? Children who are 6 to 8 years of age are at the perfect time in their lives to get involved with this great hobby! I created a list of my top picks for sewing machines here as your child can basically use any on the list. Check out the convenient comparison table to see the features best suited for your particular child. 3: Are there any books or videos that can be included with the machine so a child can learn basic sewing? I found a DVD-rom that people can check out which is “Thread’s Teach Yourself to Sew DVD – Season 1(there are 5 season in all so far).” While the DVD is geared toward adults who are learning to sew, it is still a great visual tool for your child as they will learn the basic terms and the parts on the sewing machine. 4: When purchasing a kid’s sewing machine, are there any extra items I should get? Many of the kids’ sewing machines that I recommend come ready the moment you take it out of the box. But it is also ideal to have a few extra bobbins and needles. Before you purchase anything, check the owner’s manual to find out if there is a certain bobbin or needle it specifically takes. For example: people who have purchased a Brother XL2600i say that it only takes plastic bobbins made by Brother. So if you have any old metal bobbins, you don’t want to put those into this machine. 5: Are there any sewing machines suitable for international travel when my child goes on vacation? The biggest problem your child will have taking their sewing machine to another country is the voltage settings and plugs. Most sewing machines run on 110-volt to 120-volt in the United States. Other countries may have a standard voltage of 220-volts, which would be too much for the sewing machine and could damage it. Also, the sewing machine will typically have three prongs while other countries such as Europe only accept two-prong devices. There are universal converter plugs that can be used. Yet be careful. Some plugs won’t convert the voltage low enough for your sewing machine. So you may void the warranty if the machine is damaged. It is best to contact the sewing machine company and find out if there is a specific converter plug to use, or look for a converter plug that will lower the voltage enough to use the sewing machine. Yet there are no guarantees that it will work there. 6: How can I get a Janome 2206 shipped to Canada? Amazon won’t ship here. The Amazon located in the United States doesn’t ship to Canada. So you have to place your order for the Janome 2206 from the Canadian Amazon website at http://amazon.ca. You can then see what sewing machines are available that would be perfect for your child. 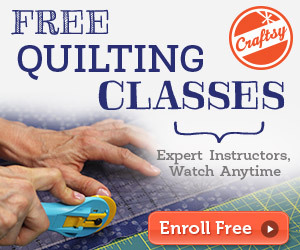 If there is a sewing question that you want answered, then please leave me a comment. I receive lots of emails everyday and I don’t want your emails to be buried somewhere. The last thing I want to happen is to give an impression to my readers that I’m ignoring them. 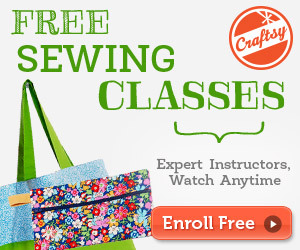 I will try my best to give you the answer you need so your child can have a fun and safe time learning to sew. My 5 year old grand daughter is very interested in sewing but I would like a needle guard so she cannot get her fingers under the needle. The toy ones have it but they are a 1 thread machine. Any suggestions of who has one? Can I get a guard for the needle for machines that don’t have one? I’m afraid that she will leave it on and one of the little ones will push buttons and hurt themselves. Hi. Can you let me now should I buy a top loader for front loader sewing machine for a 7 year old beginner. Can a finger guard be purchased to put on the Janome 11706 sewing machine. Hi Alyson. I know the feeling. My nieces started asking me to give them “sewing lessons” pretty much around that age. If my memory serves me right, my oldest niece asked me when she was just 4 years old! I feel for you. I know that kids at this age enjoys doing things on their own and they cant seem to be bothered by the danger. My answer to your question is yes you can buy finger guards for your sewing machines but I was thinking if you have thought of just buying a sewing machine that has finger guard feature included in it. Please check this post where I discuss the best sewing machines for children. I bought my niece the Janome Fuschia Portable model because it has a finger guard that will prevent any accident. Also, I suggest checking Janome Mini as it has slow sewing speed that is really perfect for beginners especially kids. At the moment, its out of stock on Amazon so maybe you could try checking your local store.